The Dunlop Revolution 4000 table tennis bat is designed with offensive players in mind and packed with the latest Dunlop technologies such as the Hexagonal damper that provides better feel and control and the Aeroskin edge which improves speed. The bat comprises of the D20 Revolution Max sponge, a 5 Ply ProA+ blade and a concave grip that guarantee outstanding levels of speed and spin. It is suitable for both intermediate and advanced players and has been approved by the International Table Tennis Federation (ITTF). That is really good bat, thank you. 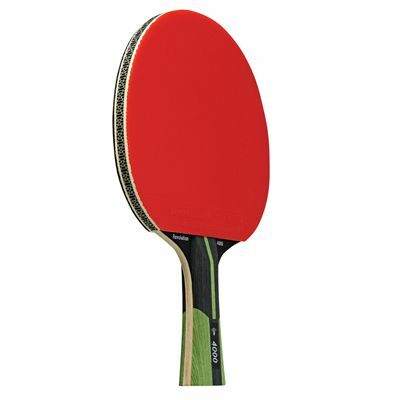 for submitting product review about Dunlop Revolution 4000 Table Tennis Bat.